Pacific Money normally focuses on the important economic and financial stories of the Asia Pacific region. The economic affairs of China, India, Japan, Australia and the ASEAN states can have significant regional and global impacts. Rarely is there an opportunity to draw attention to what is happening in the tiny, isolated mountain kingdom of Bhutan. Whether this scheme will be rolled out across the whole country remains to be seen, significant challenges would remain. For one thing Bhutan’s foreign exchange situation will deteriorate as it switches its electricity from export to domestic usage. Even with the reduced fossil fuel import costs, there will still be a need to pay for the infrastructure and vehicles that must be imported to the country, and Bhutan does have other import needs. Still, this idea of leap-frogging the old fossil fuel vehicle fleet model whilst Thimpu is still a growing city (the population is rising rapidly although the exact number since the last census in 2005 is unknown) is an attractive one. 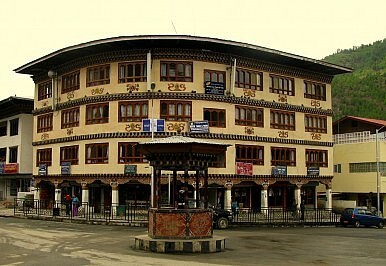 While Thimpu’s model cannot really serve as a realistic short-term example for major world cities, there is great potential for smaller, developing cities and towns to think hard about the idea, when the right factors are in place. Beijing’s race to control supplies of lithium, used in powering electric cars, is leaving its rivals far behind. Japan Pools Resources to Retain Automotive EdgeGreen Shoots Sighted for Asia’s EconomiesAn Oil Discovery Before Systemic Reform in Pakistan Would Be a TragedyIn Myanmar, Jittery Investors Threaten Long-Term DevelopmentAsia’s Elections: Market Moving or More of the Same?